An important question in the study of harmful algal blooms (HABs) is what causes them to begin and end? While HABs are becoming increasingly prevalent, the particulars that cause these blooms to occur and then diminish are not well understood. This project looks at this question by examining the biological and physical controls that determine Alexandrium bloom initiation and termination. 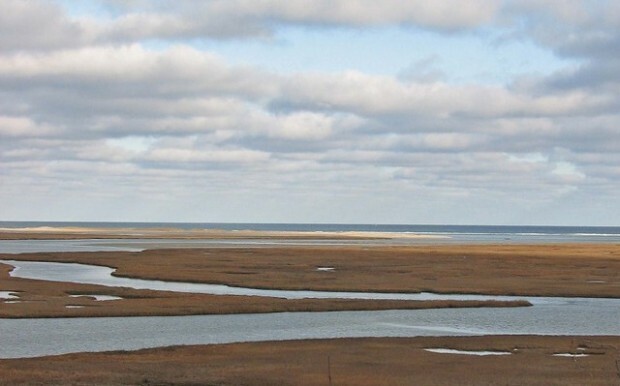 Utilizing the Nauset Marsh system as a “natural laboratory,” researchers will study localized algal blooms in an area representative of many similar shallow estuaries and embayments in temperate waters throughout the U.S. and the world. Using the novel sampling system, the Imaging FlowCytobot, researchers will be able to discern the life cycle stages of the algae at a cellular level. Furthermore, this project will develop and utilize molecular markers for algal gametes and planozygotes to better track the processes affecting bloom reproduction. Understanding the reproductive life cycle, along with the effects on algal blooms from grazing, parasitism, and physical advection will illuminate the mechanisms by which HABs are initiated and decline, making the blooms more predictable to scientists.